If you are relocating to Electra, Welcome, Welcome Back, or Welcome Home! 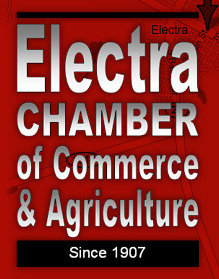 Electra has a private, local telephone company. Water, sewer and garbage services can be arranged through the City of Electra. Electrical services are available through the City of Electra and Atmos Energy. For gas connections, contact Atmos Energy. Housing is available through local realtors and rental property owners. Electra Hospital District offers a wide variety of services to Electra’s citizens. For more information, visit their website at http://www.electrahospital.com/ .